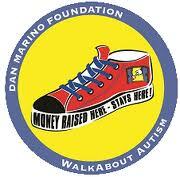 This past weekend, the Dan Marino Foundation hosted the second annual Walkabout for Autism at Sun Life Stadium here in South Florida. The Foundation is a wonderful agency, assisting many other charitable organizations that help families and children with ASD. 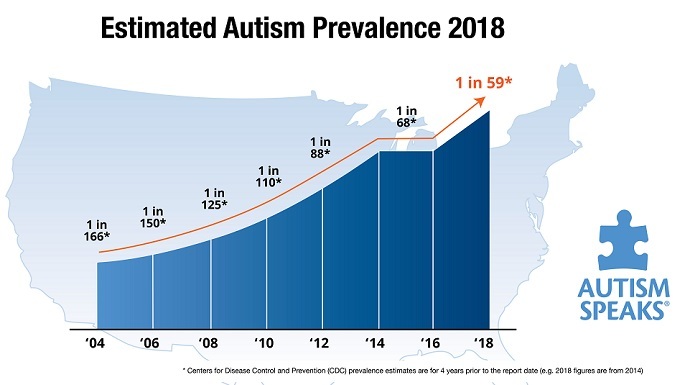 As a Board Member of the Autism Society of America, Broward County Chapter, I have been witness to many of the benefits that this marvelous endeavor has generated. Moreover, that money has been distributed locally in order to actually help fund events that enable children to enjoy movies, outdoor activities and other social events which are so necessary in their lives. The advertising and enthusiastic support of the many families who have been affected by this modern developmental epidemic has spawned a very successful event. I am writing this post to comment upon an unforeseen outcome that the popularity of the Walkabout has encountered. In short, there were too many people and not enough support for the affected children. That created a great deal of anxiety – on the part of the developmentally challenged and the neuro-typical family members, alike – and so there were more than a few ultra-meltdowns as the afternoon wore on. It’s gotten so successful that this year there was a bottleneck as families entered the stadium on a warming SoFlo afternoon. The understandingly important and informative speeches weren’t necessarily so well-understood or appreciated by the very people whom the speakers were trying to help. By the time the participants got to the field, there was a paucity of available liquid refreshment. Exciting, anticipated (to the point of distraction) amusements had long waiting lines, rivaling those at Disney World. And, I write notes for children so they can bypass that roadblock in their lives! That’s the first thing that came to my mind when my helpful and friendly office manager retold the events of her day. Can you believe it? Disruptive and aggressive behaviors at an autism event? Do tell! After enduring the grown-up pre-game events, waiting to go into a much-anticipated bounce house, Karen’s wonderful and talented son finally lost it when confronted by a service dog – animals, in general, being a particular fear for Jake. Another patient had to make an emergency visit to my medical office because of her increasing combative behaviors. That poor child had even hit a familiar therapist who was, apparently (according to Mom), unaware of the child’s physical potential. There were also many other families who experienced frequent challenges as the afternoon events – which were supposed to be fun – proved too much to handle. For next year’s participants, expect delays and unforeseen events that need to be assessed and addressed. Parents may come to the conclusion that certain children lack the skill to handle such situations. Practice (social stories, the park, play dates) helps. How your child behaves at Disney, or in malls, for example, can be instructive. For the 2013 organizers, this knowledge can guide expectations about supplies and other extra services. For volunteers, a great deal of patience will be essential. Recognizing potential situations can be very helpful; so that letting an ASD child ‘cut’ in line might not be a bad idea. All of the problems that were encountered appear to be relatively easily addressed and so I expect that next year’s event will be even more successful. Just remember that means more… more… everything. This entry was posted on Sunday, January 29th, 2012 at 5:05 pm	and is filed under >ALL<, Alternative and Complementary Medicine for ASD, News-Maybe-Worthy, Patient experiences. You can follow any responses to this entry through the RSS 2.0 feed. You can leave a response, or trackback from your own site. I think it’s wonderful that the event had such a great turnout and I am very proud that my team raised so much money, but honestly, I couldn’t agree with you more! That stadium was not big enough to handle so many people. Everyone felt completely stressed out, claustrophobic, too hot without the option for shade, and the music was so loud that I had to leave within an hour of entering the stadium. I couldn’t handle it anymore. My neuro-typical daughter and I had such a hard time navigating through the crowd that I couldn’t believe my autistic son didn’t go into full meltdown mode. I don’t think I will be participating next year if they don’t figure out a solution to these issues.